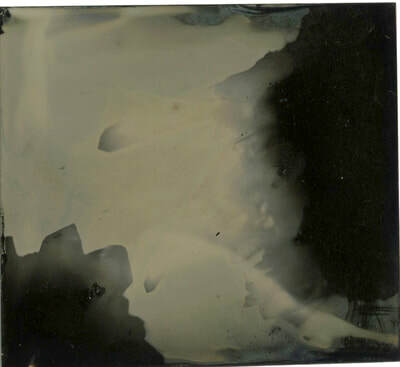 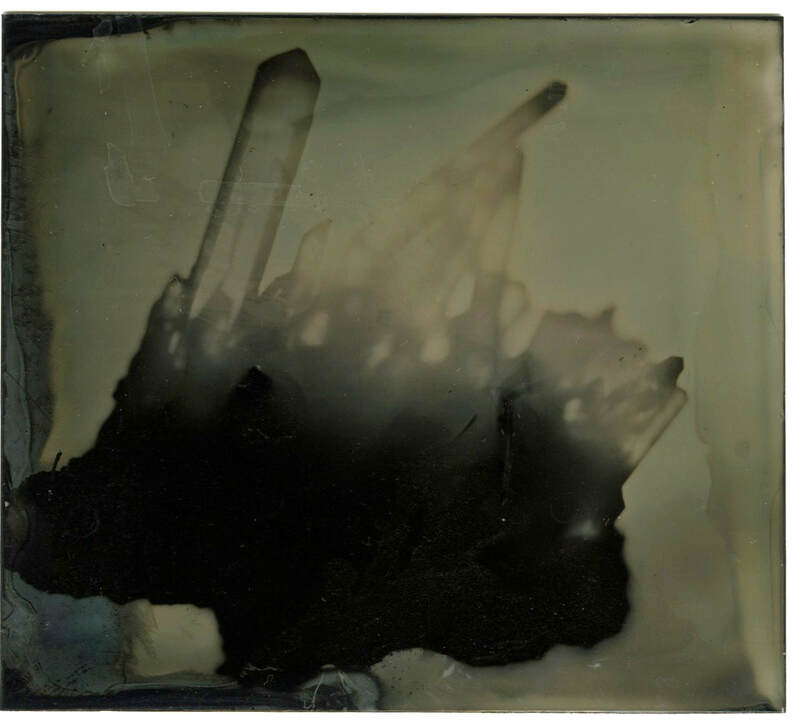 "Winter Canopy/ Fault Line," Silver Gelatin contact print from cameraphone digital negatives, 2016, 8" x 10"
The process of working in wet-plate collodion involves a kind of ephemeral, poetic sensitivity due to the tempermental nature of applying collodion skin through surface tension. 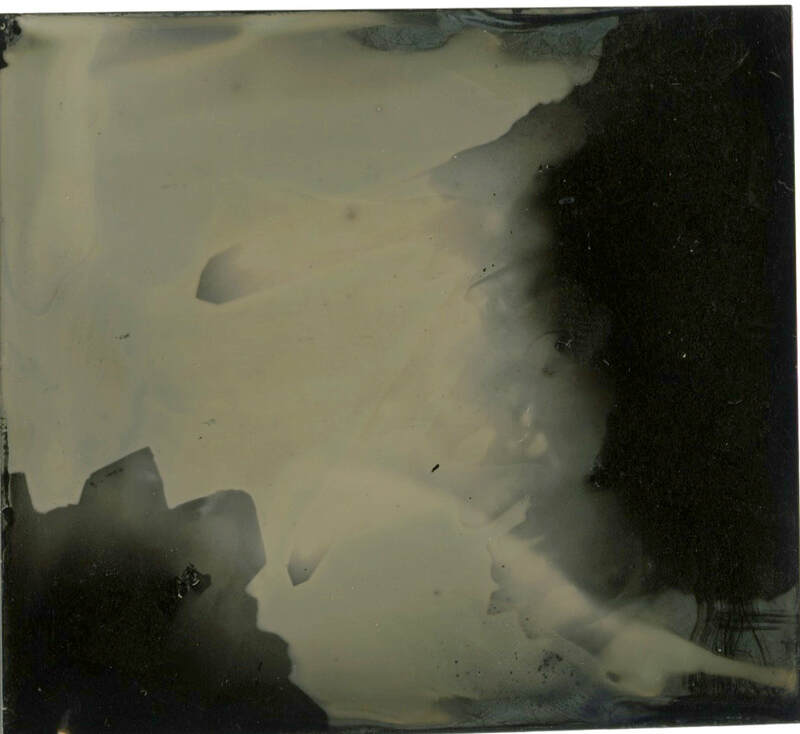 The crystals of quartz and other rocks seem apt subjects for tintype photograms; supplying varying degrees of translucency and opaqueness, their imagery marries well with tintype's smoky, mysterious "coffee-and-cream" aesthetic. 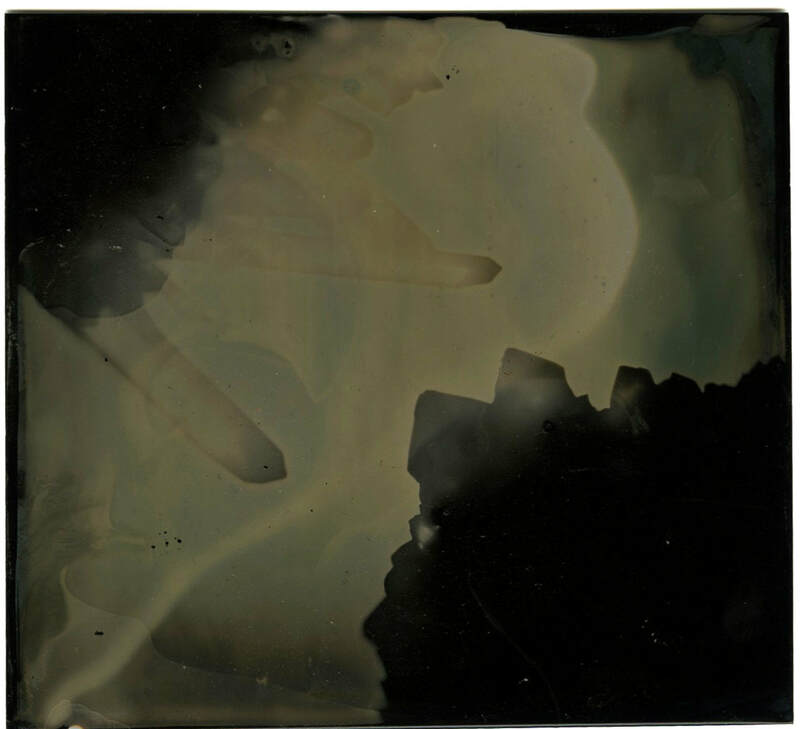 Embedded with an atmosphere of instant history, the unpredictability of this process suggests the elements of chance and variability present in the conditional requirements of the development of geologic forms. 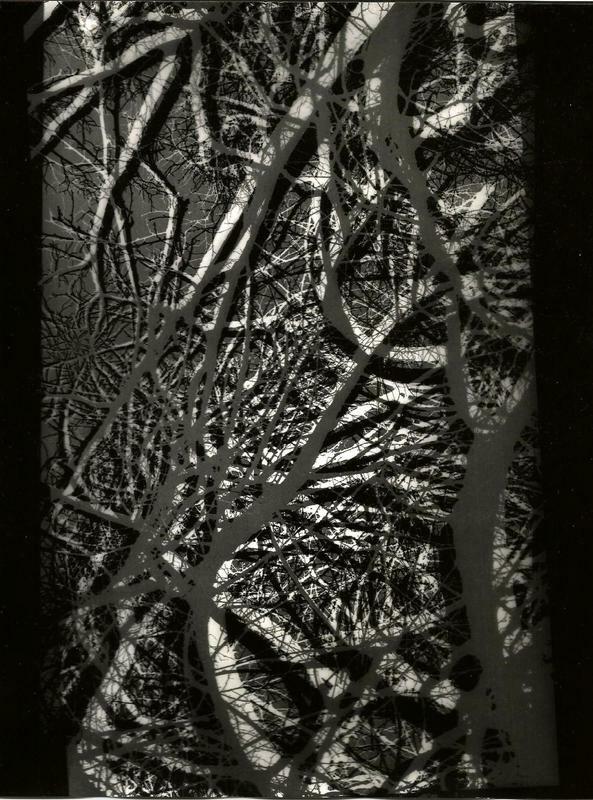 However, to a great extent the subject of these photograms is as much the exploration of the forms and materials as the idea of Geologic Time.